Home owners are increasingly investing to create luxurious, modernized master baths, according to the 2016 U.S. Houzz Bathroom Trends Survey of more than 2,100 home owners who are planning or recently completed a bathroom renovation project. Of those surveyed, 20 percent say they are updating the toilet; 12 percent are updating a tub; and 9 percent are updating a shower with high-tech features. High-tech toilet features home owners say they’re incorporating include self-cleaning functions, motion-activated seats, or built-in nightlights. Popular high-tech bathtub features are built-in lighting, heated backrests, and scented mist dispensers. 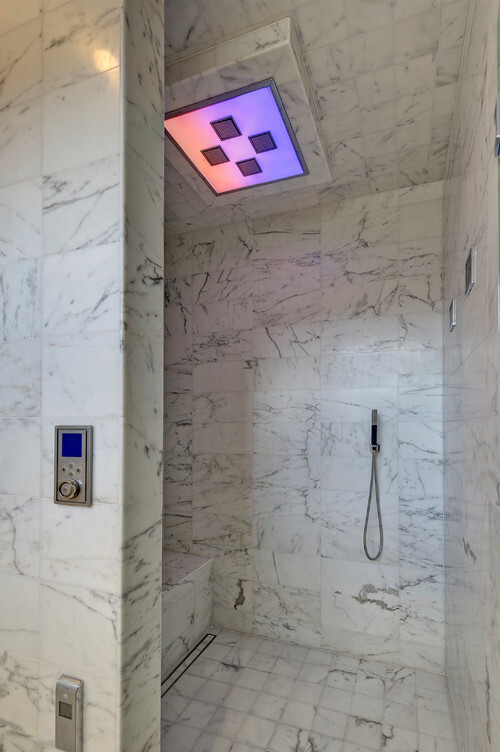 The survey also showed the most popular high-tech shower updates are mood lighting, digital controls, and built-in sound. Other popular luxury features that home owners say they’re spending on are rainfall showerheads (among 54 percent of those updating showers); bathtubs with room for two (20 percent of those upgrading tubs); adding chandeliers (17 percent of upgraded light fixtures); and bidet-equipped commodes (6percent of upgraded toilets). 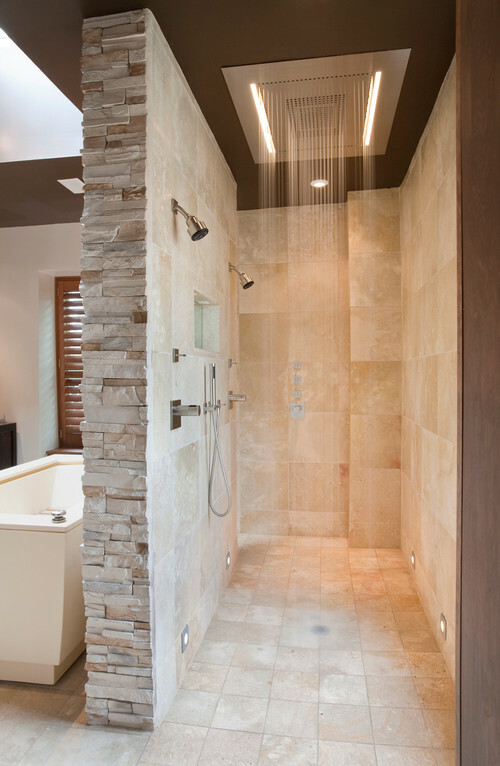 Home owners surveyed who recently completed a project say they most wish they had installed radiant heating, towel warmers, and super-sized showers during their bathroom renovations. Of the remodeling home owners surveyed, two in five say they spent between $10,000 to $25,000 on master bathroom renovations. Another one-third surveyed said they spent more than $25,000. As we get older bath tubs are dangerous. Walking showers are great. No need for a tub A WE GET OLDER. Authority Property Management Redding Ca. We get a ton of requests for walk-in showers. So many so that we have had to begin tracking our rental properties as to what ones have them and what don’t. we believe that one should put in grab handles any time a remodel is done so they don’t need to be added later. These hi-tech bathrooms are really nice. But they come in a little bit pricey. Thanks for posting. These all look wonderful to have in a home. Once you’ve got your kitchen and other primary selling points taken care of, this can be an added bonus to wow your clients.